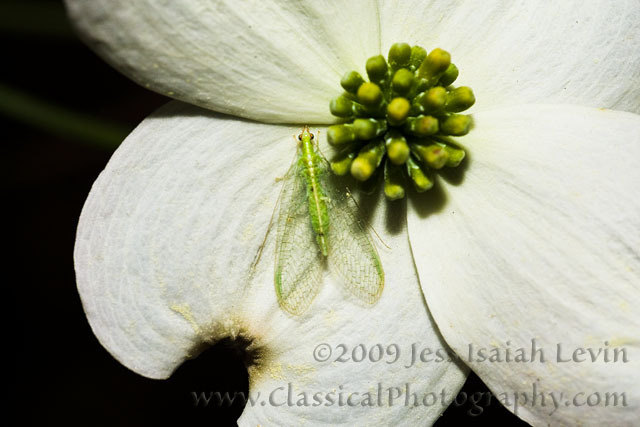 Arriving home April 10, I spotted a lacewing on a dogwood blossom, and raced inside to get a macro lens. The little fellow must have been resting or something...at any rate, it was still there when I got back. I got off one shot before it flew away. Today, April 14, we had a quick downpour of rain, followed by a bit of sun, followed by a thunderstorm. 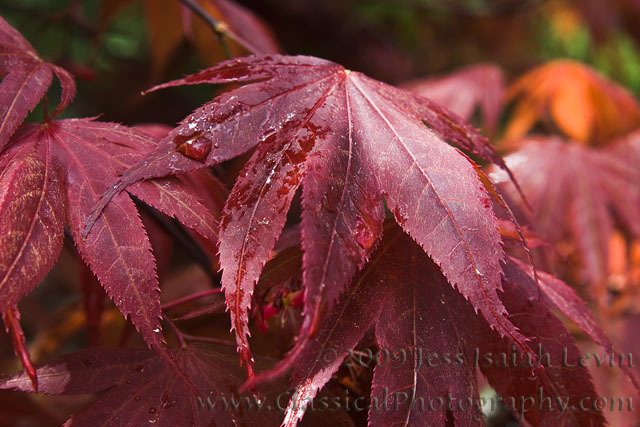 During the dry moments, I shot wet leaves and flowers. 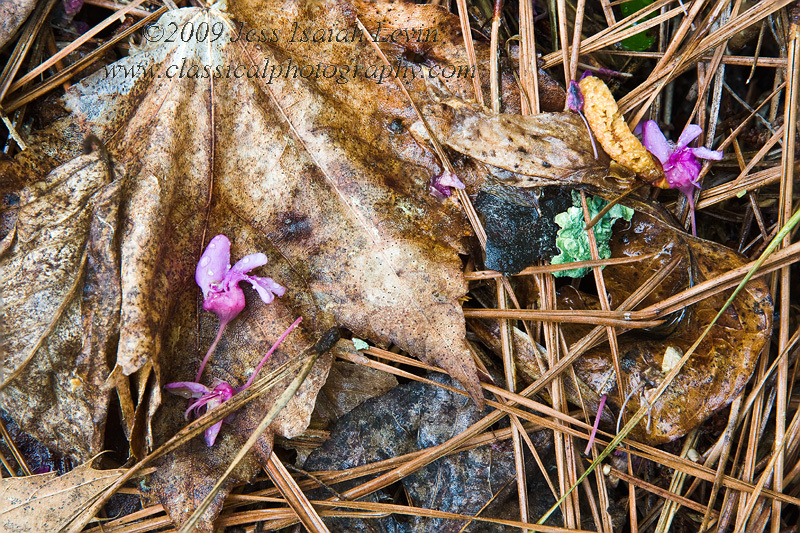 My final subject was a little "still life" that I found on the ground. 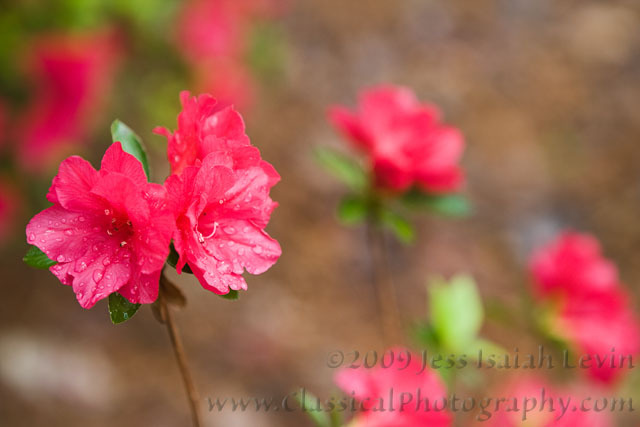 In spite of aligning the plane of the camera sensor with the main plane of the subject, the depth of field required to show detail in the closest flower and furthest shadowy leaves was beyond what could have been achieved with a single shot (because of the high magnification and fairly large camera format compared to most digital cameras). I handled it by doing five shots with focus shifted slightly between them (obviously with the camera locked down tightly on a tripod). I then blended the five shots in Photoshop to achieve overall sharpness. In the full resolution image, the level of detail is quite impressive. The small version here can only hint at it, even though I've sized it a bit larger than usual for the web.